I'm far enough into this parenting gig that I can look back and admit a few things, such as: I pushed Aaron to learn how to read. And also, I pushed Maxwell to learn how to read. For the longest time, I made myself believe that I just encouraged and aided the interest that was already there. And while it's true that they both caught on quickly, if I hadn't been behind it, I'm sure they would have been content to wait until kindergarten. I can admit to all of this now because I did not push Bradley. Since he has a September birthday (and so still has one more year until kindergarten), I knew I should curb my enthusiasm or else we were going to be sitting around, twiddling our thumbs, waiting for kindergarten to finally get here. But last summer, he begged to start reading lessons, and so I agreed, but figured when he lost interest (which I was sure he would), we would just take a break until he was ready to pick it up again. But I had no idea the kind of dedication I was up against. He was unrelenting in his desire to read and suddenly the tables were reversed and he was pushing me. He followed me around with his reading book, begging to do one more page. He asked me about words on cereal boxes and storefronts. He wanted to practice all the time. That kid came with his own tank of motivation. I saw his experience in stark contrast to Aaron's and Maxwell's and realized: This is what learning to read is supposed to be like. This summer, that magical phase of reading happened, the one I love so much where everything finally came together and he wasn't just reading but reading fluently. And now, I can't keep him in books. It's a fun problem to have. He's at the perfect stage for the easy reader section of the library. (Side note: Am I the only one who thinks "easy reader" is a deceptive label? 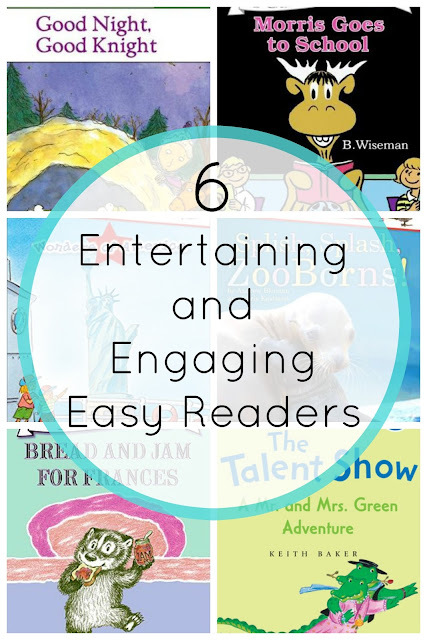 Shouldn't a brand new, emerging reader be able to read something that's an "easy" reader? But it takes a lot of phonics readers (sometimes called "beginning readers") to get up to the easy reader stage of reading (for a few recommendations of really simple books that won't want to make you poke out your eyes, check out this post). But anyway, Bradley is now at the point where he is perfectly comfortable with the easy reader books. He's sitting right around a second grade reading level and loves being able to pick anything off the shelves in that section of the library and be able to read it with ease. Many of his favorites are on this list I wrote up several years ago, but here are six more he's currently gobbling up (and bonus, all of these books are part of a series, so if like any on this list, there are more where they came from). Bradley loves knights and dragons, which made this series an instant win for him. It stars the Good Knight, a valiant character, who invariably has to come to the rescue and get his three dragon friends out of various scrapes. The books follow a specific pattern: three mishaps that include a few lines of repeating text, followed by the resolution and happy ending. The repeating text usually includes a few rhyming words, such as, "crumbly tumbly tower" or "shimmery, glimmery sword." 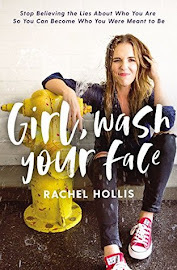 The books have a good amount of text on each page, which can seem daunting for new readers, but this is countered by the repeating words and phrases. Getting through the first rescue is sometimes a bit of a struggle, but then the reader picks up speed as he sees words he has just seen. This increase in pace as the book progresses is a real confidence booster, and it's one of the reasons I love these books. There are a total of six books in the series, but only three of them are easy readers. I'm not sure how the three picture books compare in terms of length and word choice, but we can heartily endorse the easy readers. The first book in the Morris series was published in 1958 with additional titles added in the 1970's and 1980's, so this is not a new series. 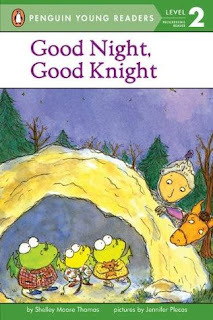 In fact, the stories, word choice, and illustrations all remind me of Syd Hoff's books (Danny and the Dinosaur, etc. ), which were published during similar years. 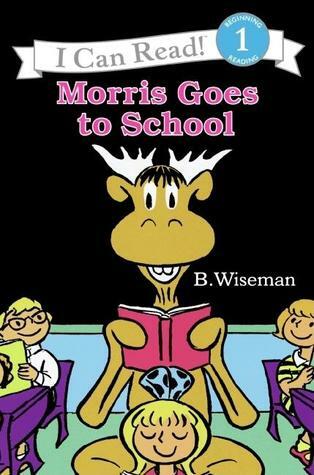 As far as Morris the Moose himself, he's a little like an animal version of Amelia Bedelia: he's a bit simpleminded, misunderstanding instructions and taking the literal meaning of words, but he's just so funny and loveable. 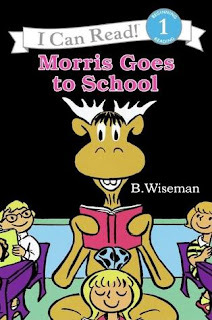 Currently, only three of the original twelve books are still in publication: Morris the Moose, Morris the Moose Goes to School, and Morris and Boris at the Circus. I really would love to get my hands on a few of the out-of-print stories as well. I've slowly started introducing some nonfiction to Bradley. It's been a little discouraging for him because he's become a pretty strong reader, but when he reads a nonfiction book, it's like he's back at square one and needs help with a lot of words. That's because nonfiction books are filled with names, dates, definitions, places, and other terms that rarely come up in fictional stories. 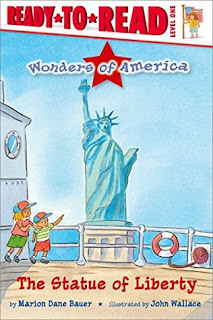 Recently he started reading the Wonders of America series, and we really like them. For fiction, Bradley's well beyond Level 1, but for nonfiction, it's just right: large print and only a sentence or two per page. It introduces him to a lot of new words without making him get frustrated. 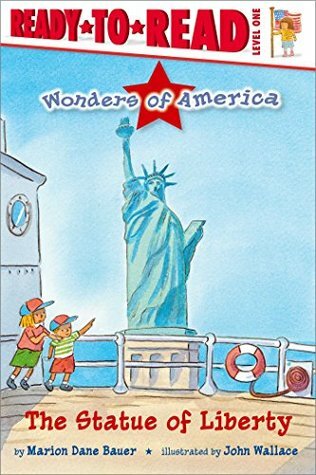 Plus, he's learning quick and interesting facts about some of America's greatest landmarks: the Statue of Liberty, Niagara Falls, the Mississippi River, Yellowstone, etc. 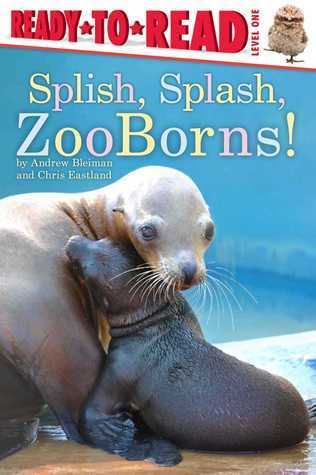 Another nonfiction series we've been enjoying is ZooBorns. Bradley loves animal facts, and each page shares a couple of sentences about a different baby animal. The text is fairly sparse, and yet, he's encountering words he's never seen before like "pygmy" or names like Nunavik. In terms of length, these ones are the shortest books on this list, but that's countered with the more difficult or less well-known words. We also love the National Geographic easy readers series, and the ZooBorns series seems to be a good lead-in to those, which are generally just a little bit more difficult. 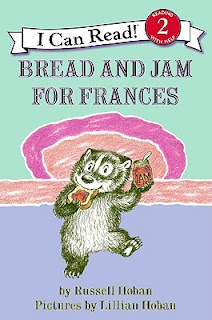 It has been one of my parental missions to get my kids hooked on Frances. I only remember one of the books from when I was a kid (Bedtime for Frances), but as an adult I've fallen in love with these sweet and inventive stories. Unfortunately, neither Aaron nor Max cared much for her, but persistence pays off because Bradley has enjoyed every single one he's read so far and is begging me to check out the rest from the library. He gets a kick out of Frances' little songs, he relates to her childhood frustrations, and he's usually amused by the solutions she comes up with. Whether she's hiding under the kitchen sink or asking for bread and jam at every meal, she's just a loveable little badger (and Garth Williams' illustrations enhance the stories beautifully). Bradley has only read four stories in this series so far (Gumballs, Cookies, Camping, and The Talent Show), but he's enjoyed each one. 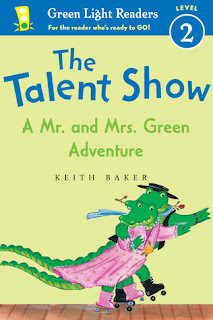 They're not too long, and the adventures (and mishaps) of this alligator couple are always funny and surprising. I think this is one of those easy reader series (like Frances) that didn't start out as easy readers. Originally, they were published as a collection of stories, but someone decided that if they were broken apart into individual adventures and labeled as being Level 2, they would work as easy readers. And they totally do. And the great thing about them is that since they didn't start out as easy readers, their simplicity feels natural and not like they were trying to fit into a pre-determined category. I didn't have time or space in this post to mention all of the books Bradley's currently enjoying, so stay tuned for more book recommendations soon. And if you have any favorite easy readers, please share--keeping Bradley in books right now is a full time job, and I can use all the recommendations you're willing to give! We love George and Martha at our house. Thanks for the recommendations! 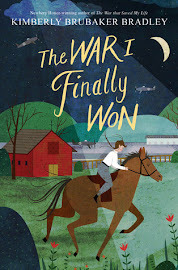 George and Martha is one of the series I was saving for our next easy readers book list! We love them! Great choice! These are great recommendations. C really likes the nonfiction readers. She's just about ready for early chapter books now (but she wasn't in readers for very long at all). Now everything is "too babyish" (ahhh what a stage, LOL!). I feel like every time I figure out what works for her, she's moved on to the next stage without me! Am I the only one who has a hard time finding emerging reader material at the library? It's a good start to have a booklist with 10 or 12 titles on it, but my kids have needed months' worth of practice material to move on to the next level. One year we experienced something that really clicked. We lived in a school district that bought a proprietary curriculum from American Reading Company. They have their own leveling system (like lexile level or AR), but they have their own proprietary authors and titles in beautiful, enticing full color little books on topics that are vast and age appropriate. My kids loved them! And they made real "baby-steps" progress through a systematic progression until they could confidently handle the "easy readers" section of the library on their own and move into early chapter books, and from there I know what to do for them with the public library collection. It was like the missing link for us! We moved from this school district and missed the resource so much that I actually shelled out the cash to buy a family subscription for my upcoming emerging readers. Just had to share a resource that impressed me. Yes I relate, each child's reading journey is so different, but a child who follows you around begging to read, rare and precious. 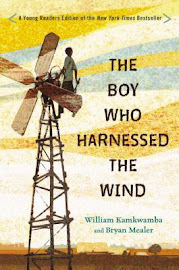 However being a younger reader will bring its own challenges, finding him books that retain his interest and meet his skill but as he gallops along, making sure the content isn't too old for him. However you're not quite at that stage yet. Oh, Mercy Watson! Those books are long time family favorites! (They're on the first list I put together of easy readers. )You also have Frog and Toad on your list, which we also love. Great recs! I love Mr and Mrs Green. I think I didn't find him until my kids were well past that level, but I made them read them anyway.